Preparation Mix all ingredients very well. 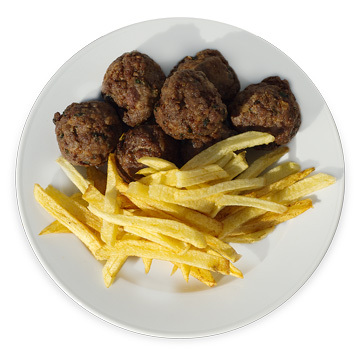 Shape meatballs evenly, pass through flour and fry at 150 degrees. Drain well on absorbent paper and serve. Garnish with freshly fried potatoes, oregano and lemon.